Screenwriter Jason Fuchs has been obsessed with Peter Pan since he and his dad were stuck on the Peter Pan ride at Disney World when he was 9 years old. 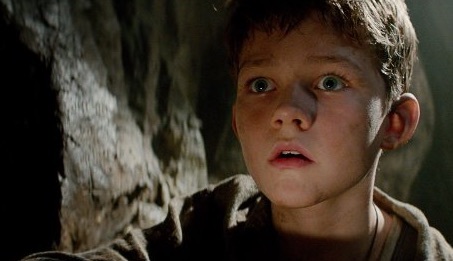 Since then, Fuchs has been fascinated with the idea of writing Peter Pan’s origin story. Fuchs says he remembers being fascinated by all kinds of questions. What was it like when Peter first arrives in Neverland? How did he acclimate? Who does he meet first? How did he learn to fly? “I remember my dad making up answers and me trying to guess and figure stuff out, and I was just fascinated, and not just by Peter Pan’s story, but also by how the story got him here,” says Fuchs. His new feature film Pan is the manifestation of that obsession. And after pitching around Hollywood and getting turned down everywhere he went, Fuchs finally found someone who was interested in hearing more. That was a development executive at Warner Bros. who works with film and TV producer Greg Berlanti (Supergirl, Green Lantern, The Mysteries of Laura). ScreenwritingU sat down with the Fuchs to hear about how he turned a pitch into a feature film and spent a weekend on pins and needles waiting for the president of Warner Bros. to say whether the picture was a go. Pan stars Hugh Jackman, Levi Miller, Rooney Mara and Amanda Seyfried. The film releases into theaters October 9. No Replies to "PAN, the new magical journey to Neverland from writer Jason Fuchs"